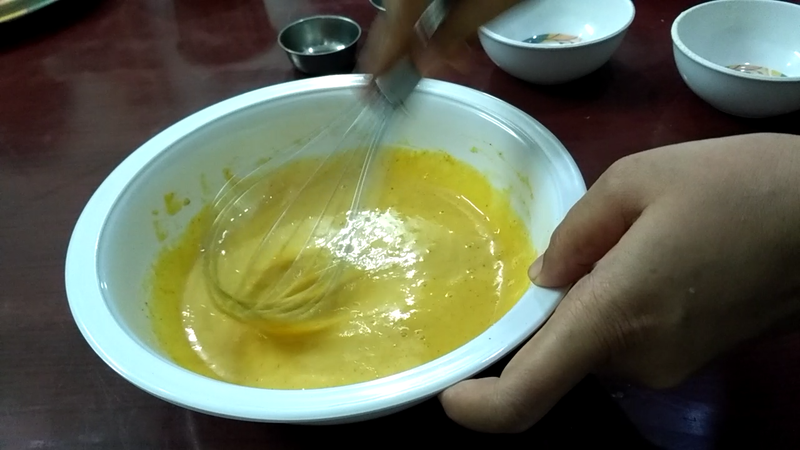 In a mixing bowl, add gram flour, red chilli powder, turmeric, garlic paste and 1.5 cup water and make a batter. 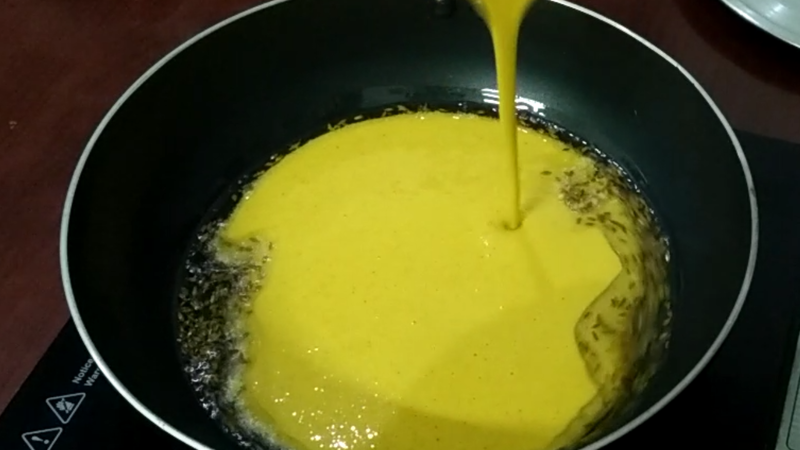 Heat 2 tbs of oil in a pan, add cumin seeds, add gram flour batter and stir it continuously on medium flame. 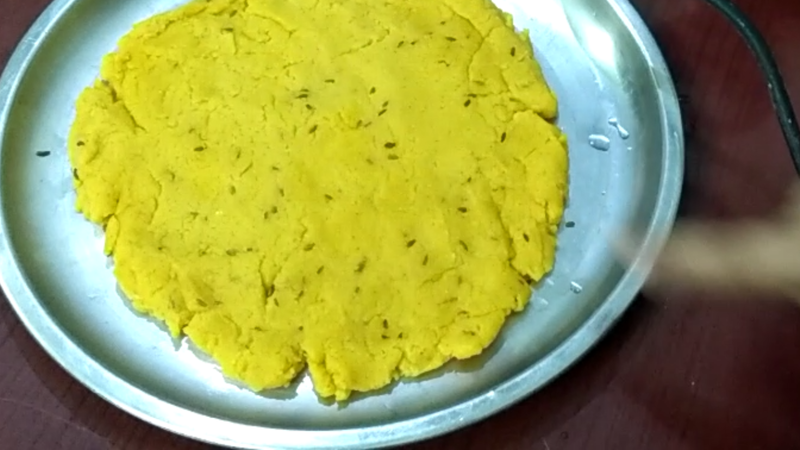 When the gram flour batter becomes thickened, take out in a steel plate and flatten it into a thick layer. 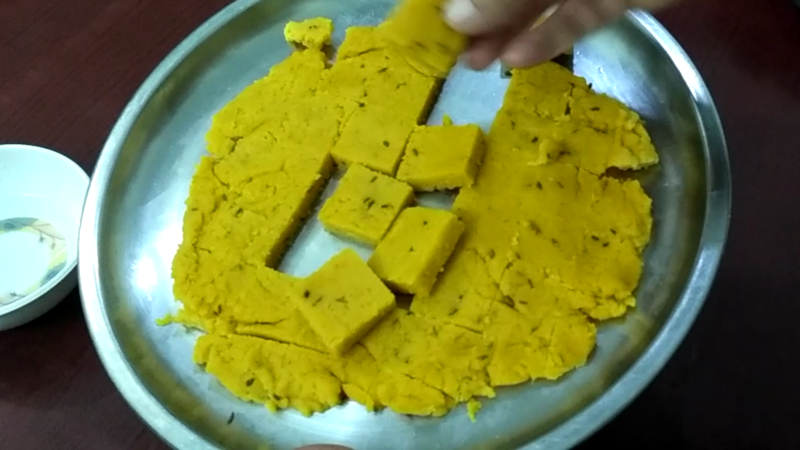 Let it cool down, Now with a knife, cut it in the form of square(barfi). 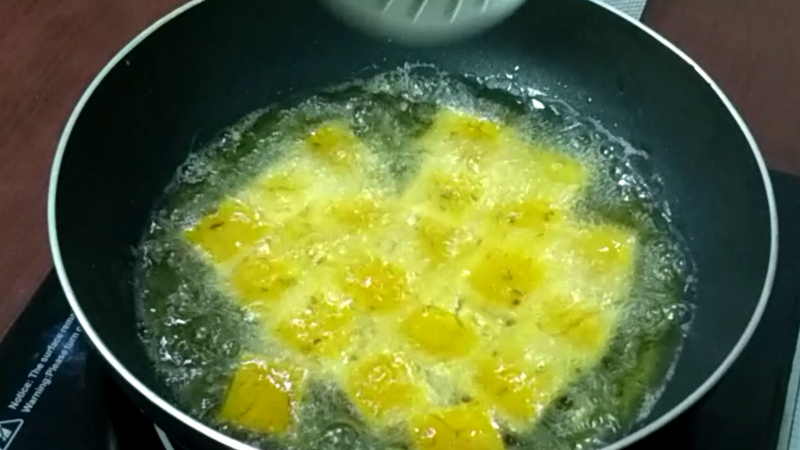 Heat oil in a pan and deep fry all square till it turns golden and take them out in a plate. 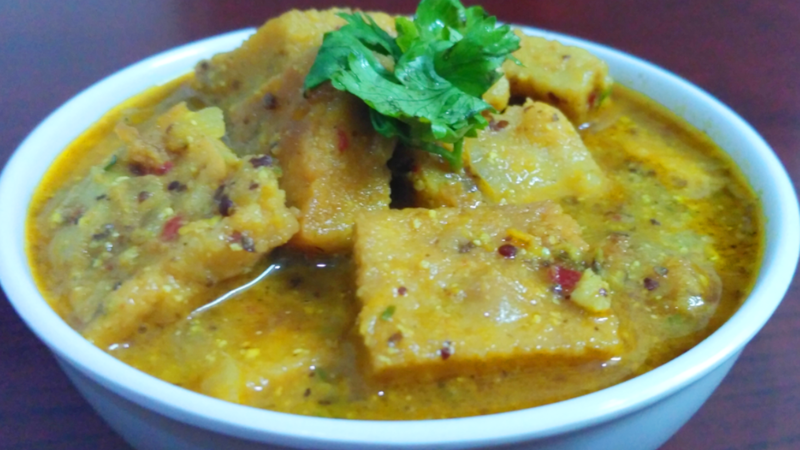 Now barfi is ready to put in the gravy. 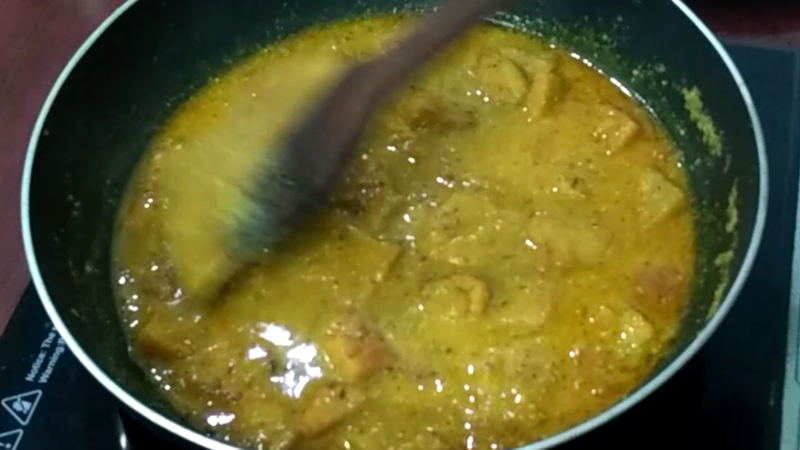 first, make a fine paste with 1onion, garlic, ginger, red chilli, mustard seeds, and 3-4tbs of water. 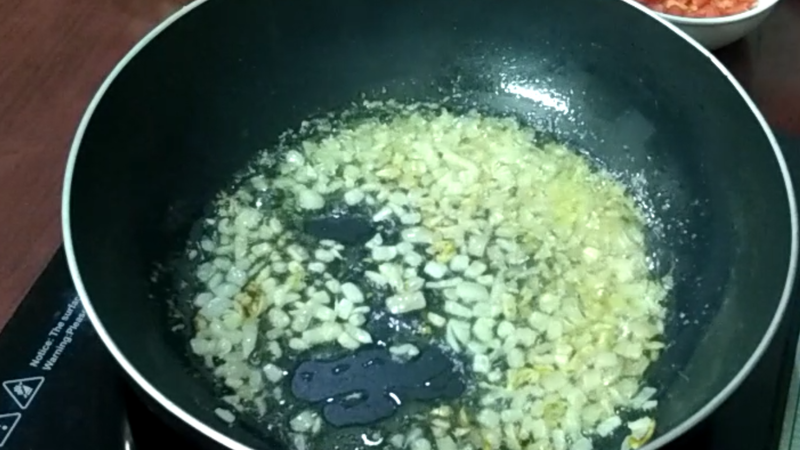 Heat 2-3 tbs oil in a pan, add 1 onion(fine chopped) and fry onion till it turns golden. 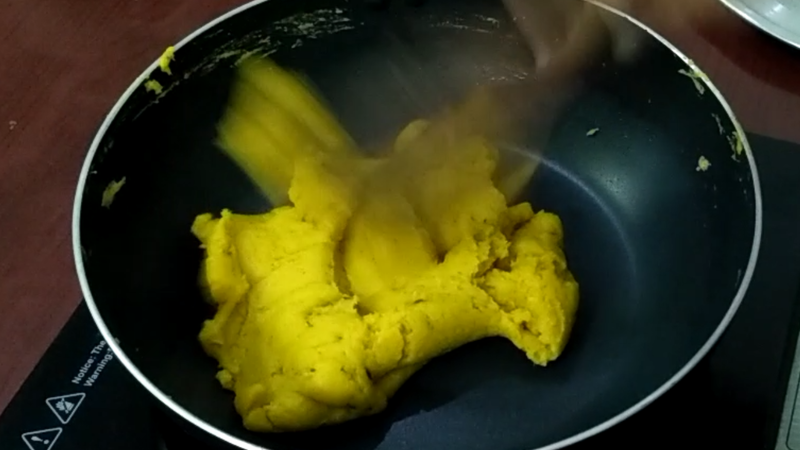 add prepare paste into pan and stir it. 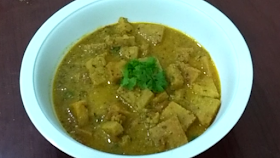 add turmeric, salt, coriander powder, red chili powder, tomatoes. 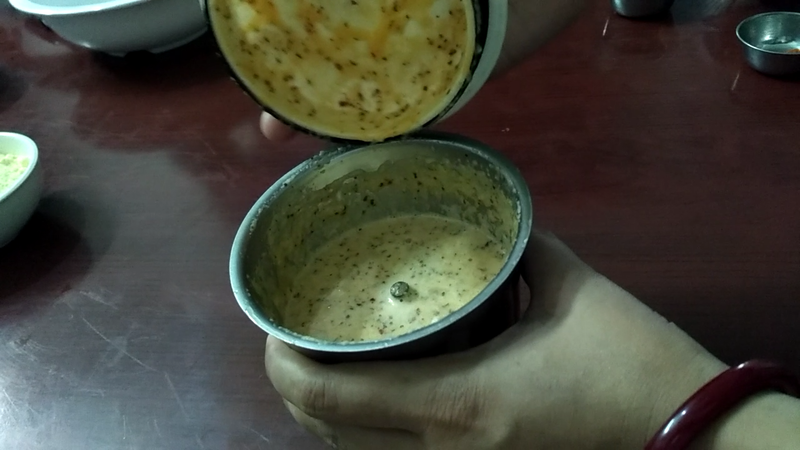 Cover the lid and cook till tomatoes cook. 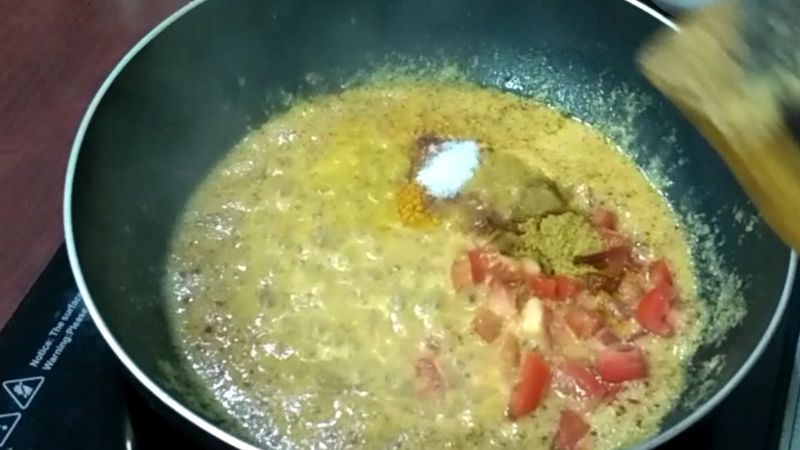 Now mix garam masala and stir it. 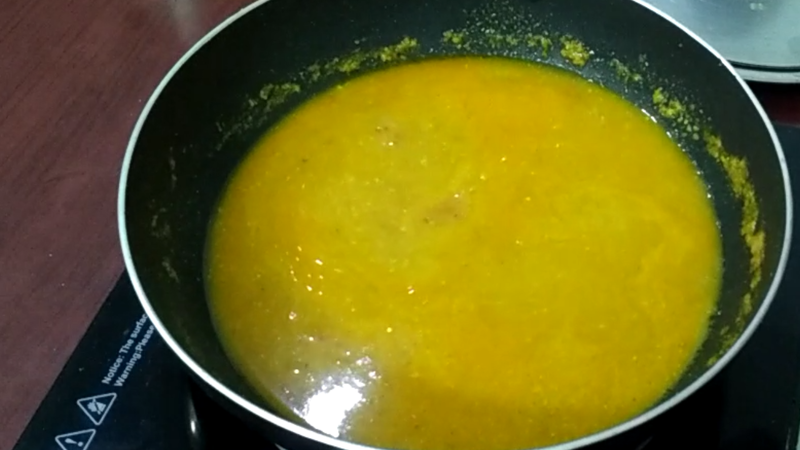 Saute the masala until oil starts leaving the edges of the pan. 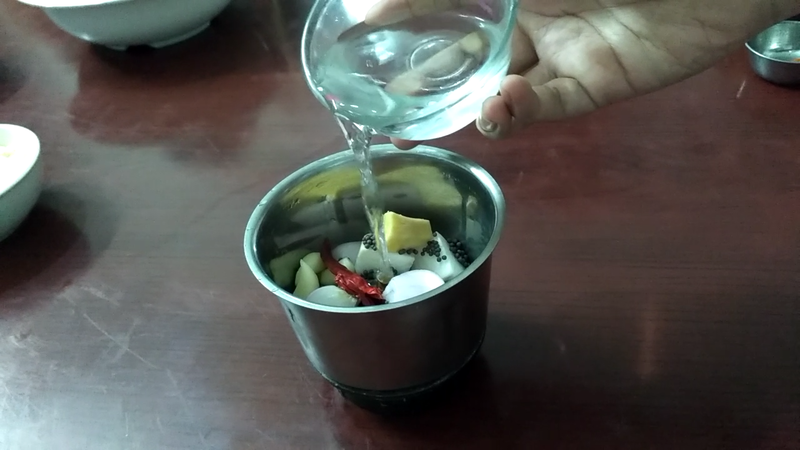 add 2 cups of water and let it boil. after boil cook on medium flame for 4-5 minutes. 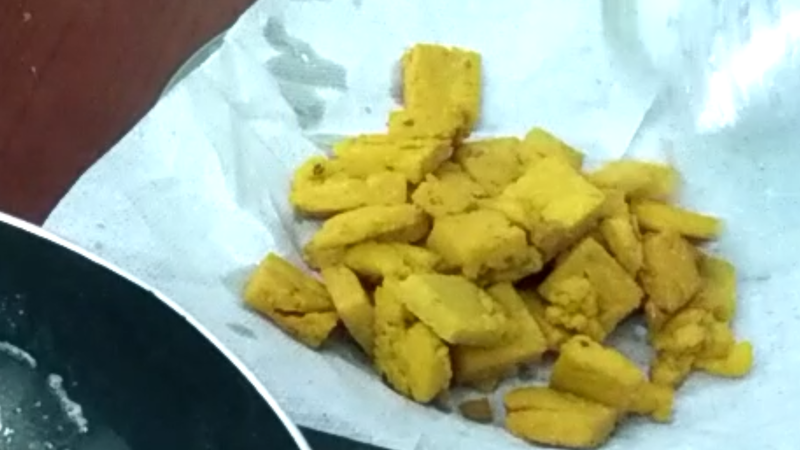 Then turn off the gas and put the fried squares in the gravy. 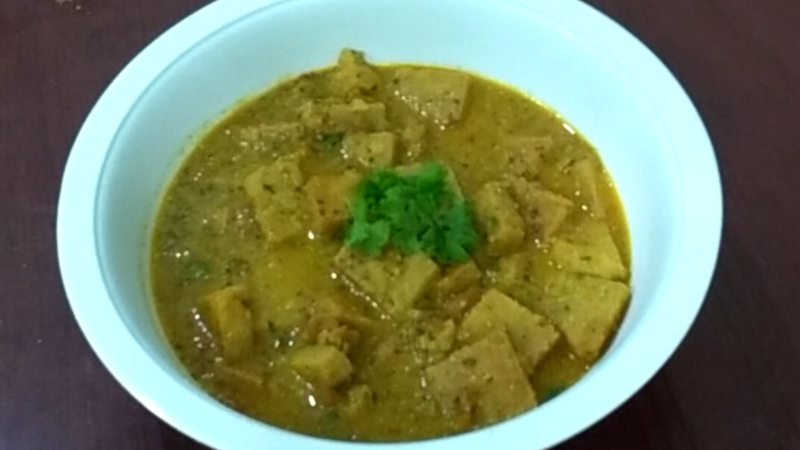 Your gram flour curry is ready. Serve it with roti/paratha or rice.